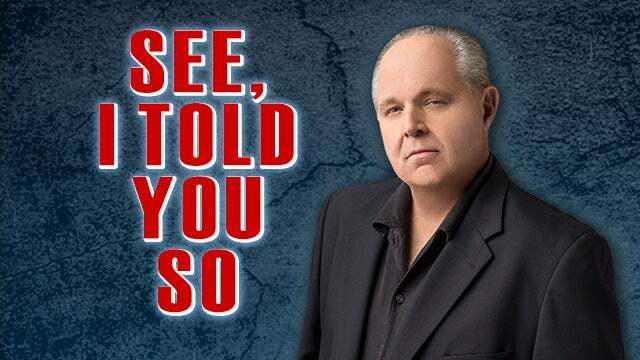 RUSH: Now, yesterday on this program, I made — and I had a bunch of callers call and disagree with me yesterday. And I admire the courage that takes. I know it’s not easy to listen to the program, to hear me pontificate, and then want to call in and say you disagree. I can imagine how difficult that is, so I applaud — (interruption) What do you mean, that’s right? Well, of course I’m right. But these people still had the guts, they had the gonads, they had the courage to call here and try to tell me that I didn’t know what I was talking about or that I was wrong. So these two made the decision to hang in there. They waited. They got through. They waited. And their chance finally came, and they told me they thought I was wrong about my take on the outcome in that district in Pennsylvania 18. Well, it turns out I wasn’t. But I did not tell them that yesterday when they called. I thanked them for calling. I applaud anybody who thinks they can enter this arena. These are in-your-face types, and if the Democrats think they’ve found a new way to win based on really camouflaging who they are and trying to act like they pretty much agree with Trump, they just have better manners, the left wing is not gonna let ’em get away with that. I said, “Nope. Nope. The left is doctrinaire. The left is in your face. The left is not into deceit and compromise the way this guy’s talking about.” Well, from The Politico, the headline: “Democrats’ Civil War Flares After Lamb’s Upset Win.” Do I need to go any further? The headline alone establishes my point yesterday. Here we go. “Conservative Democrats argue the party needs to embrace his centrist message in other battleground races.” Liberals in the party say BS. 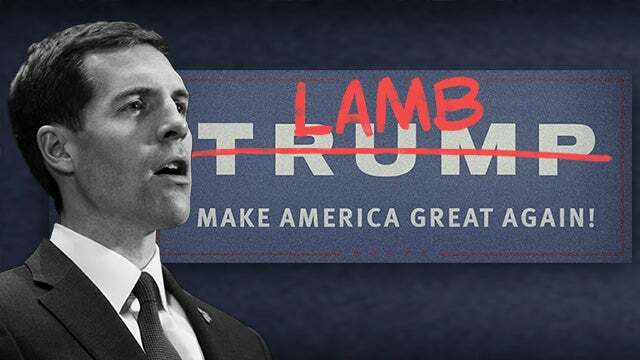 “Conor Lamb’s triumph in Trump country is being heralded by conservative Democrats –” There’s no such thing by the way. Not really. A conservative Democrat is not a Democrat or he’s a liar. There is no such thing as a conservative De. And if you think I’m wrong, call in. No lines open, but if you time it correctly, you can get through. (interruption) You disagree with me on that? You think there are conservative Democrats out there? Joe — but take a look how he votes. Joe Manchin, they’re not conservative Democrats. There’s no such thing as a conservative Democrat. In fact, you know what the role of the Never Trumpers is? What do you think the role of David Brooks and David Frum and all these other clowns, the Mona Charens, what do you think their role really is? What do they do? They go on TV and they are heralded as what? Conservatives. Intellectual conservatives. Smart conservatives, right? These are the educated, these are the non-Klan member conservatives, right? These are the mainstream think tank intellectual leading conservative. And what do they do? They don’t just bash Trump. They bash other conservatives. The reason why they’re on PBS and the reason why Mona got her Washington Post Style section story after CPAC, the purpose they serve is that they go on mass media as conservatives criticizing conservative policy, criticizing other conservatives. And that gives it even more credibility than when the left does it. So they are there for the express purpose of criticizing conservatives and conservative policy. At the same time, what they’re trying to do for themselves is keep the image of Trump off of them. Never Trumpism is not the advancement of conservatism, folks. Never Trumpers are not interested in advancing conservatism. Never Trumpers have a primary concern that nobody think they have anything to do with Trump. Never Trumpers are not embarrassed to be conservatives except when Trump’s name enters the discussion. Then they become embarrassed to be conservatives, and then they embark on a strategy designed to keep whatever stench they think attaches to Trump off of them. It is not to advance conservatism. And that’s the problem most people have with the Never Trumpers on the conservative side. They’re not really trying to advance conservatism because Trump’s doing that, and they still disagree with it, and they’re trying to undermine it. So if we have this kind of disparity in who is and who isn’t a conservative, don’t tell me that we have conservative Democrats. There is no such animal, particularly today. You might have been able to say so back in the days of JFK, LBJ and them, but not today. (interruption) What? Name ’em. One or two of them that are pro-life and gun. That does not make you a conservative. How do they vote on Big Government? How do they vote on spending? How do they vote on all of these traditional things? How they vote on abortion? You see what’s happening here? “It’s an object lesson on the kind of candidates the party needs to promote and win to take the House in November.” So this is The Politico and they’re saying this guy is showing the rest of the Democrat Party the way. This guy is telling the Democrats, stop this radical leftist dumb stuff and let’s go sound like Trump, let’s go sound like moderates, let’s go sound like conservatives, and that’s how we win. And left-wing radicals that run the Democrat Party want no part of this at all. Nonsense, say the liberals. They don’t want any part of it. It’s exactly what I said yesterday. They don’t want to win this way. They wanted to win the special election because, remember, the special election is the most important election ever, and it was that for one day. They don’t want to win the House with this guy’s agenda. Well, look, when it gets down to it, they’ll win however they have to, and however they have to lie about who they are, where they will do it. But they do not want this to become the identity of the party, is my point. Radical, leftist, extremist socialism is going to be what defines this party, as far as they are concerned.